The cavities were painted with colored cocoa butter and some colored (and edible) powder. 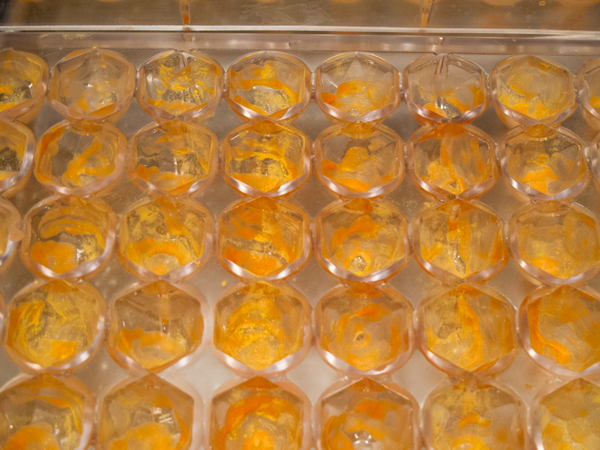 On the left are molds filled with an improvised pumpkin ganache that was of the perfect consistency for piping and self-leveling. 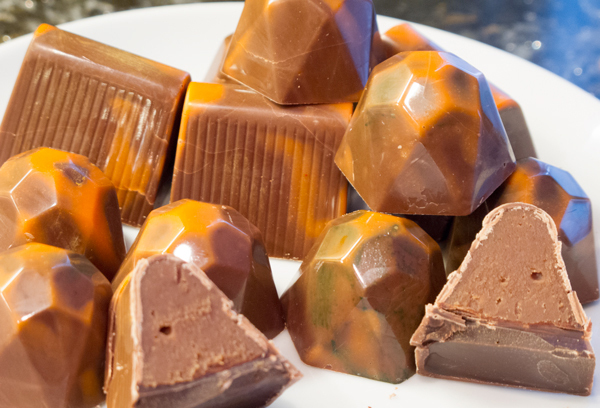 On the right, the molds were filled with the pumpkin-caramel ganache, which could have been looser for shell-filling purposes. Overall it worked fine but I ran out of the original ganache after filling three out of four molds, thus the improvised ganache batch. I could have filled these molds even more, judging by the thickness of the bottom part of the shell, which is evident in the top photo. The not-all-that-fragile chocolate shells cracked before they were released. 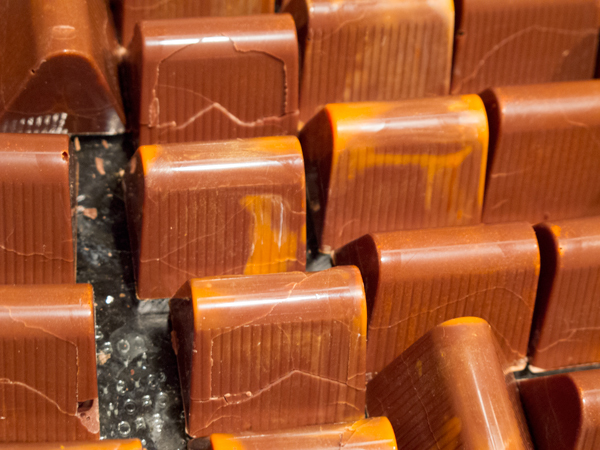 This is not the fault of the chocolate but the fault of impatient chocolatiers who rapped the still-full molds with great force against the countertop. This photo represents the worst of the bunch, most chocolates suffered superficial, if unsightly, cracks. By the way, the harsh treatment cracked the shells, but did not help release the chocolates. 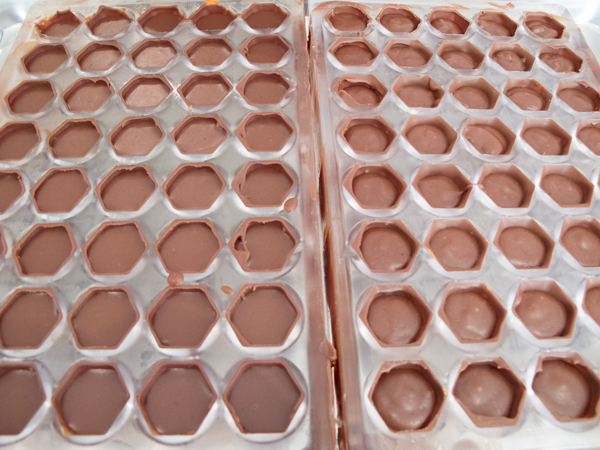 Finally, after basking for about 30 minutes in the freezer, the chocolates released as they were supposed to. But the damage had already been done. This entry was posted in chocolates and tagged "Chocolates and Confections", brandy, caramel, chocolate molds, cocoa butter, cracked shells, dark chocolate, filling molds, Guittard, molds, polycarbonite molds, pumpkin, tempering, tempering chocolate. Bookmark the permalink.